An organic garden provides fresh fruit and veg to the hotel kitchen, and fish is caught from the ocean nearby. Solar power is used where possible, and surplus water is used to irrigate the gardens. There’s a sublime diving spot right in front of the hotel, thanks to the coral reef that stretches 10km out to sea. Practice your balance on the slackline, borrow a paddle board or one of the hotel’s bikes and speed along the sands of the two-kilometre private beach. Beauty treatments and massages, gardens, DVD/CD selection, free WiFi in some areas. In rooms: TV, iDock, CD player, minibar and WiFi connection. Directly in from of the restaurant terrace, there’s a large rectangular salt-water pool tiled in an invitingly dark shade of green flanked by adjustable wooden loungers. Bring snorkelling gear for checking out submarine spectacles, reliable shoes for jungle tramping, and a novel or two for when you fancy indulging in some hammock time. The closest you have ever come to paradiseCorumbau means “distant place” in the Pataxó native language and owes its name to a wide sand point that stretches out into the sea, where the horizon seems to fade away and one can almost touch the infinite.In fact, one can even say that Corumbau is the beginning of an unforgettable trip.A desert beach of white sand and crystalline water that is 15 km long (2 km facing the farm), with a vast grove of nut palm trees on the seaside. There is even a long coral reef formation that stretches out approximately 10 km into the sea and disappears as the tide rises. Crags and different shades surround the waters creating a magnificent spectacle of nature.The reserve Pataxó is right on the other side of the Corumbau river, where you can visit and be fascinated by their culture and tradition, not to mention the great variety of unique items hand-crafted by the natives in the village.Land roads, rare species of birds and virgin vegetation have survived time and were preserved by the local inhabitants, mostly fishermen.Seafood and fish always fresh come straight from the fishing boats of the inhabitants of the local village to supply the Fazenda São Francisco do Corumbau.Sun, beach and mild climate all year long; the weather in Corumbau is typical of the Northeast region of Brazil.The doors of paradise are wide open for you. 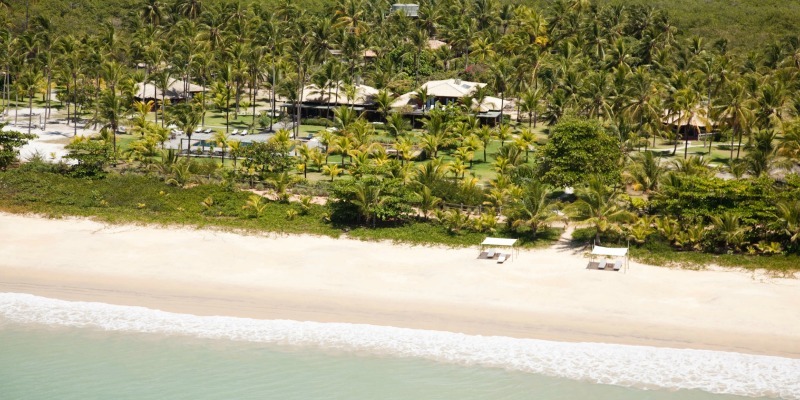 With ingredients cultivated in its own organic vegetable garden and fresh seafood fished locally in Corumbau, the gastronomy at the Fazenda excels in quality. For breakfast delicious foods such as cakes, homemade breads and a variety of cheeses are coupled with tapioca and regional fruit juices, while for lunch and dinner the menu features two options for starter, main course and dessert. 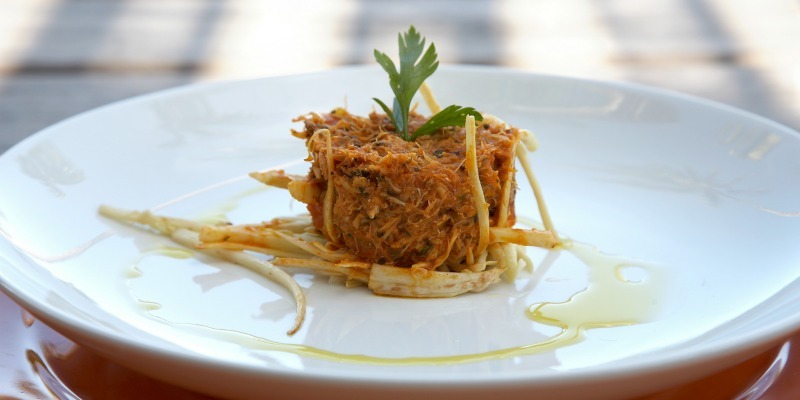 With a sophisticated and charming ambiance, the restaurant is under the leadership of chef Teco. His recipes are a perfect mix of the typical flavors of Bahia and the most refined international culinary art. The wine list alone is a special feature at the Fazenda with approximately 30 labels from around the world, stored in a temperature controlled wine cellar. The wines are carefully selected to pair with distinguished culinary dishes at Fazenda. The direct contact with nature enables a variety of leisure choices during your stay in our farm. If you enjoy hiking, you will be thrilled with the tracks surrounded by mangrove swamps in the farm. Bike riding along the shore is also an excellent way to admire the beauty of the place. Another refreshing activity is diving. You can dive right in front of the Farm, among the corals and suddenly come face to face with a myriad of species of plants and fishes. Kayaks and schooner riding are a brathtaking experience. 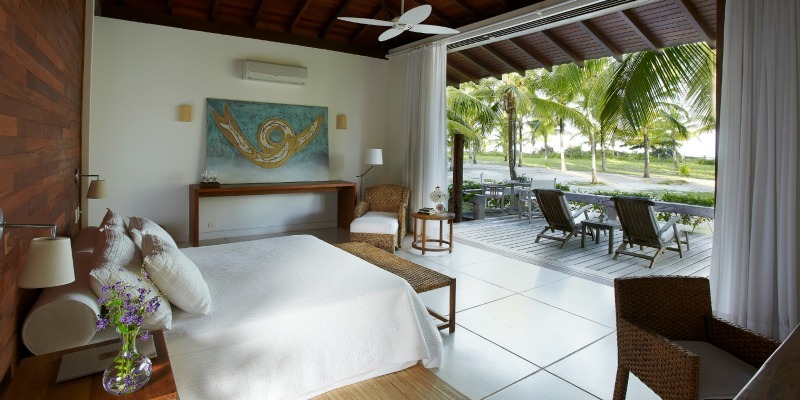 You can sail on the beach, visit the corals in the reef of Itacolomi, go up the Corumbau river which borders the Farm Fazenda São Francisco and the Monte Pascoal’s indian reservation, visit the beach of Espelho, or even discover the beauties of Barra do Caí. After all these activities, an excellent suggestion would be to sit back and relax on the terrace of your bungalow savoring some of the dishes offered by our seafood and fish cuisine and having a drink specially prepared for you. 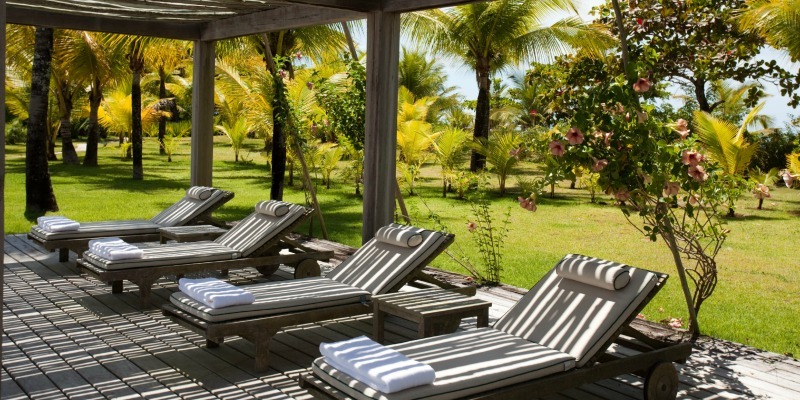 Or simply rest in a hammock, admiring the sea in front of you. 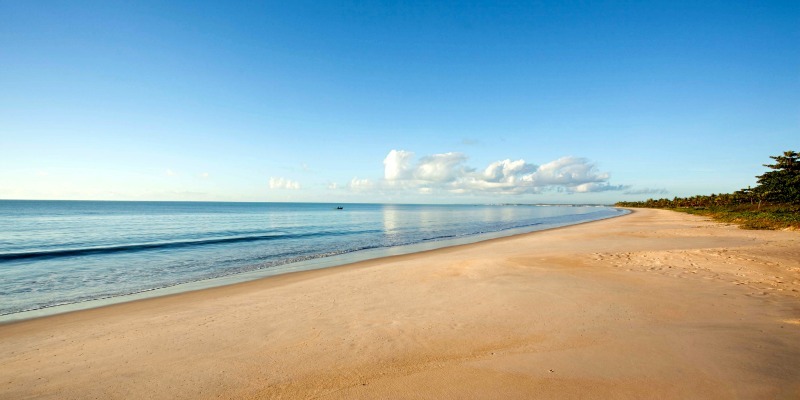 Ponta do Corumbau lies on the south coast of Bahia, between the cities of Porto Seguro and Prado. 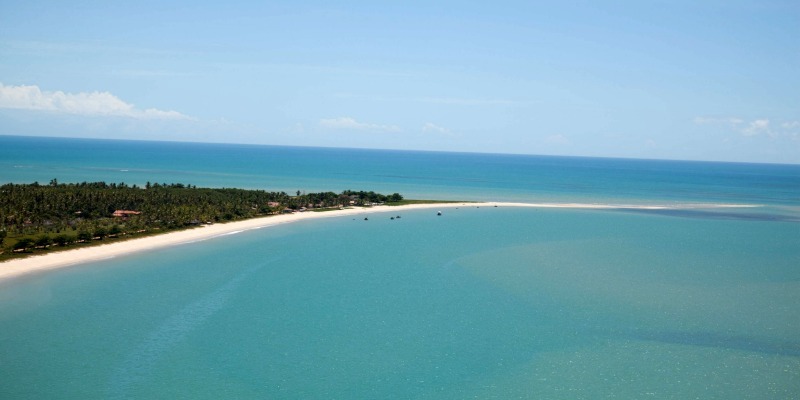 By the coast, approximately, 40 km of Porto Seguro and about 200 km by highway. 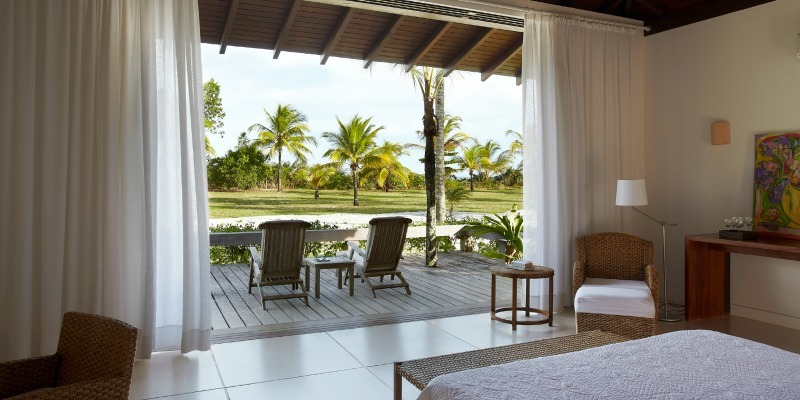 The Fazenda São Francisco do Corumbau offers total privacy, with just 10 rooms, and features an exquisite decoration. The furniture was especially designed to blend harmoniously in all rooms. All the accommodations have a spacious porch with stunning views. length Travel itineray hightlights Uninterrupted relaxation in a sublime natural setting Fantastic diving on the reef right in front of the hotel Boutique-hotel comforts in a laid-back beach-house atmosphere	Your journey will be a private, customized travel experience, based on your individual schedule, interests and budget.